Download a free copy of Puvungna, written by the author when he was just 14 years old for his 9th grade English class at Long Beach, California’s Stanford Junior High School. Puvungna is a story about two young brothers who travel back in time and discover an ancient Indian village along the shores of a Southern California beach and the terrifying secret behind its disappearance over five hundred years ago. 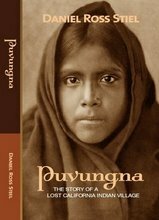 Puvungna is inspired by the true story of a lost village that was once populated by the indigenous Tongva people and the artifacts the author found while exploring the vacant land near his home in Seal Beach. You will meet Chinigchinich and the people who called Puvungna their home, and experience how they lived before their land was conquered, their spirituality, and the events that changed a long-forgotten history which took place at the village. The Tongva, which means “people of the earth” in their native language, called Southern California their home for many thousands of years before the arrival of the Europeans. Believed to be the birthplace of Chinigchinich, a prophet and the spiritual leader of the native Tongva, Puvungna is considered sacred by indigenous people. It is also believed by many remaining modern-day Tongva people to be the place of creation. The last remains of the village of Puvungna is located less than a mile from the Pacific Ocean on the campus of present day California State University, Long Beach, along the banks of a once flourishing creek that today is little more than a drainage ditch paved over with concrete. Ever since the brand launched “Objets Nomades” in 2012, style cognoscenti couldn’t wait for the newest installment.